Great food doesn’t have to be complex. In fact, sometimes the most satisfying dishes are as easy as counting to four. Four is the magic number because that’s the number of layers in this delicious and surprisingly easy to put together skillet bean dip. 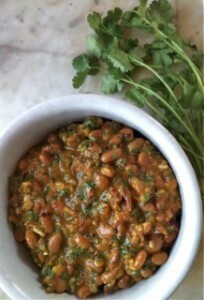 To get the party started, we start with a layer of Randall Beans. 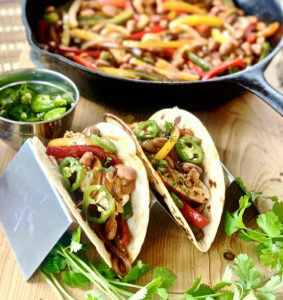 We used our mixed beans in this recipe, but if you prefer to use Randall great northern beans, pinto beans, kidney beans or black beans they all work great. A layer of sour cream comes next, adding a little tang and creaminess to the dip. The kick of the dip is the next ingredient: a can of diced tomatoes and green chilies. Feel free to dice up and add some jalapenos and onions to this layer to crank up the heat and add some crunch! The fourth and final layer is topping the whole affair off with shredded cheddar cheese… because what dip isn’t made so much better by loading on the cheese? This dip is what you call a skillet dip because you can prepare and cook the whole thing over a campfire, stove or oven in a skillet. If you prefer making your dip in the oven, you can build it in an oven safe dish and let it sit in a preheated 350-degree oven until the cheese melts, gets bubbly and starts to brown slightly. 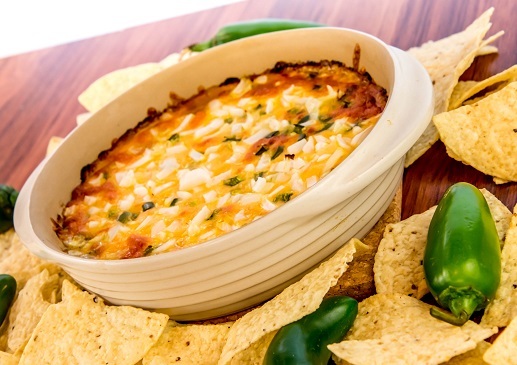 Don’t forget this dip for game day, parties, outdoor fire pit gatherings or any occasion where you want to feed a crowd. 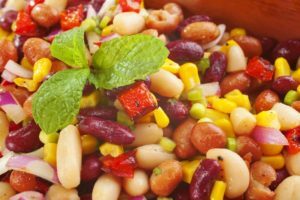 Spread the beans into an even layer in the bottom of a non-stick skillet. (If the skillet is not non-stick, spray a thin layer of cooking spray into the pan before adding the beans.) Using a spatula, spread the sour cream into a thin layer over the beans. Top with the tomatoes and green chilies, distributing evenly over the sour cream layer. Sprinkle the cheese over the top, covering completely. Cover the skillet and turn to high for 2 minutes. Reduce to low and cook for 12 to 15 minutes or until mixture is bubbly and cheese is melted. Serve with corn chips. Planning a party? The perfect party deserves the perfect appetizers. 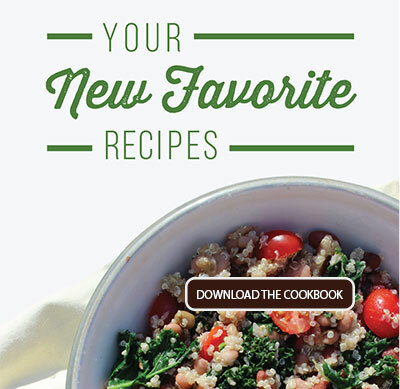 Grab a copy of our free Dips and Spreads cookbook. It has all the recipes you need to keep your party guests satisfied and snacking, without requiring that much effort from you, the host. Follow the link below for your copy.